The school holidays pretty much brought any other activity, including blogging, to a grinding halt. Who can blog when two increasingly bored and grumpy boys are vying for your attention?! With both boys back at school and nursery this week, I’ve finally had the chance to use my Travelzoo voucher (bought back in May) to Thai Square Spa. My treatment was booked so long ago that I must admit by the time I got there I couldn’t actually remember what I was there for. Being in town and away from mum-responsibilities was enough to cause me to have a, most probably, inane and beaming smile on my face for most of my visit. 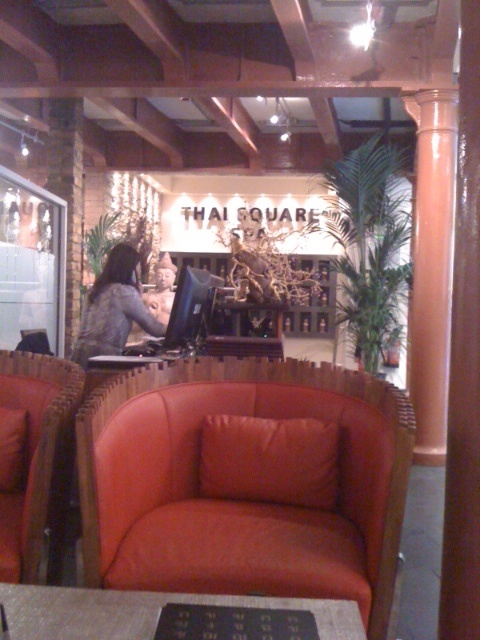 Thai Square Spa is just off Neal Street in Covent Garden. I actually forgot how much I love it in this part of town (cobbled streets, vintage shops, ditzy boutiques and all, it is definitely one of the best places to spend a Saturday or Sunday afternoon…). The spa is tucked away just off the main street, and is still in the process of being refurbished. 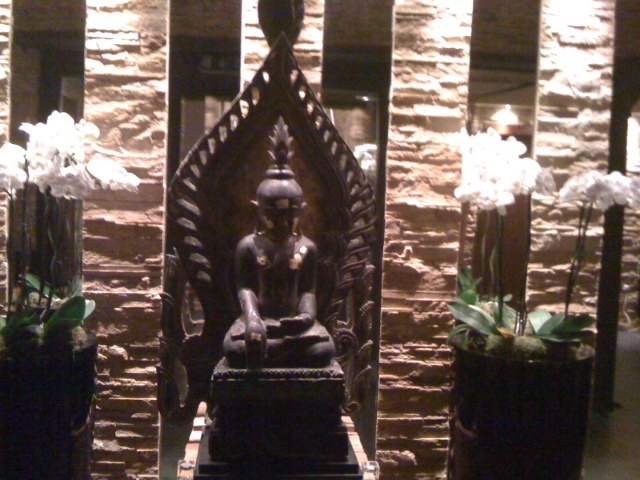 On arrival I was greeted by a quiet stunning Thai-inspired reception area, and was informed by the waiting staff that I was in fact booked in for a Thai massage. Hmmm, interesting, I didn’t really know what to expect as I’d never had one before…. After a relatively short wait (tick), and profuse apologies for the short wait (big tick), I was taken down, exchanged my clothes and shoes for Thai-style pyjamas and slippers, and was taken into the treatment room. I was first treated to a complimentary ‘floral foot bath’ in salted water for about five minutes. I must admit I wasn’t too overwhelmed by this part of the treatment as I was pretty much left for about five minutes in a rather uncomfortable upright chair, with my feet soaking in luke warm water with petals floating in it that was getting colder by the minute. The actual massage proved to be a far more invigorating experience and lasted an hour. For those, like me, who haven’t had a proper Thai massage before, the process, which, to my relief, doesn’t require any clothing to be removed, can only be described as a sort of extended stretching/yoga session where various parts of your body are extended into positions that wouldn’t have thought possible! I made a mental note not to book this particular treatment for my dear hubby, who although very fit and active, is about as supple as a plank of wood. Which neatly leads me to my next point: this particular treatment might not be everyone’s cup of tea. It is ideal for anyone who is relatively physically active and supple, but who (like me) doesn’t necessarily have the time or patience to have a proper stretch after a run or a gym session.The final result made me feel incredibly limber and ready to tackle anything. But be warned, if you lack flexibility a Thai massage might prove to be more of a teeth grinding exercise, than a relaxing treat. The spa is currently still being refurbished upstairs, and will apparently also boast a jacuzzi (!) upstairs. The final verdict: a nice little retreat slap-bang in the centre of London that’s worth a visit. (Watch this space for a review on something slightly different: Roka (not quite the health and beauty remit) but if like me you are into your Japanese food, this might be a review worth checking out.